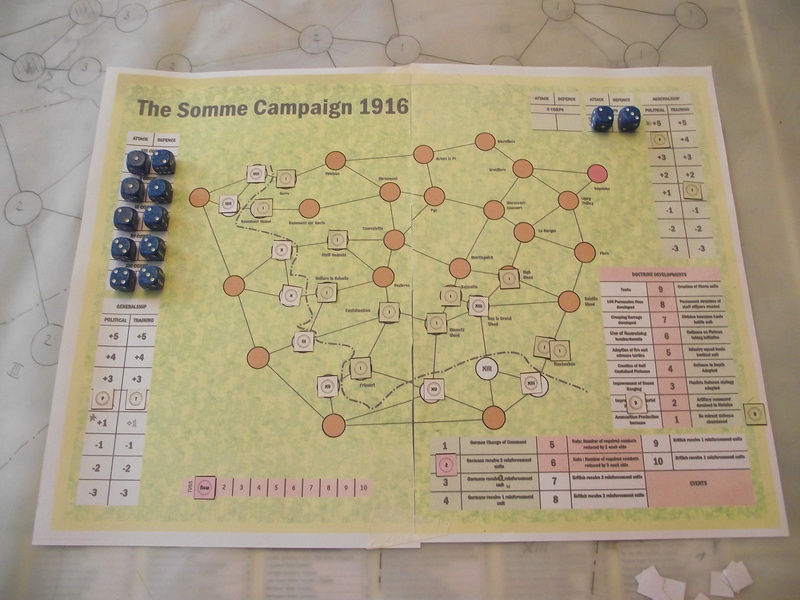 To complement the Somme Series of card games designer Neal Reid has been working on a board game of the Somme campaign. As part of the development process Neal has written up, and photographed, one of his test games in full to explain the thinking behind the game and illustrate the mechanisms used. The game will be launched in two phases. The first will be the printed game with the board, rules and counters in a A4 grip lock bag. This will be followed by a "print and play" pdf version a few weeks later. The game is in the final stages of development. We hope to finalise the rules next week and get the first proofs from the printer shortly after that. Once we have a firm launch date I'll open up the game for advance orders.